€525 per person for 4 days/3 nights. 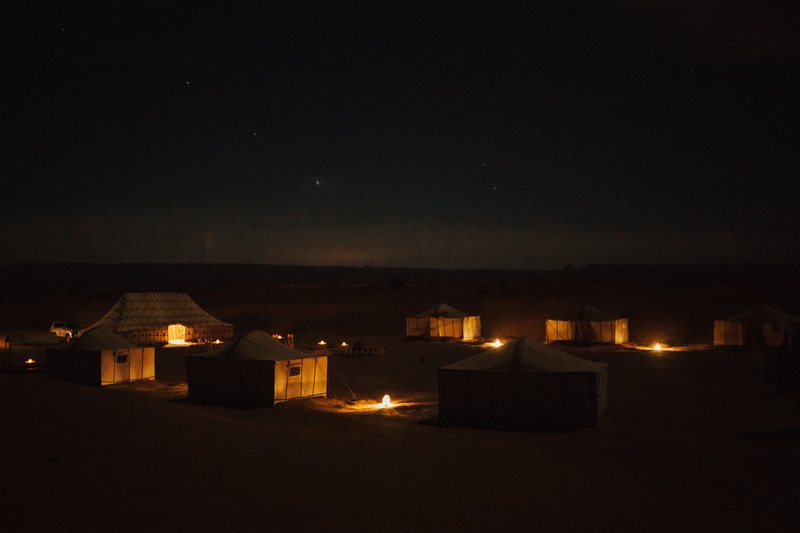 We arrange Berber desert camping in Morocco at Camp Al Koutban (‘al koutban’ meaning dunes). 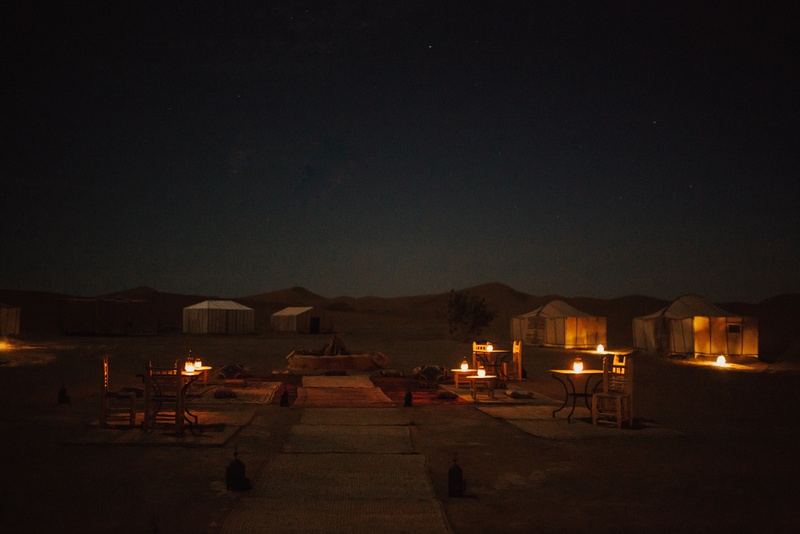 The rustic Al Koutban desert camp is located at the base of the remote dunes of Erg Chigaga. This is the longest ‘erg’ (sand sea) in Morocco, and well off the beaten path. 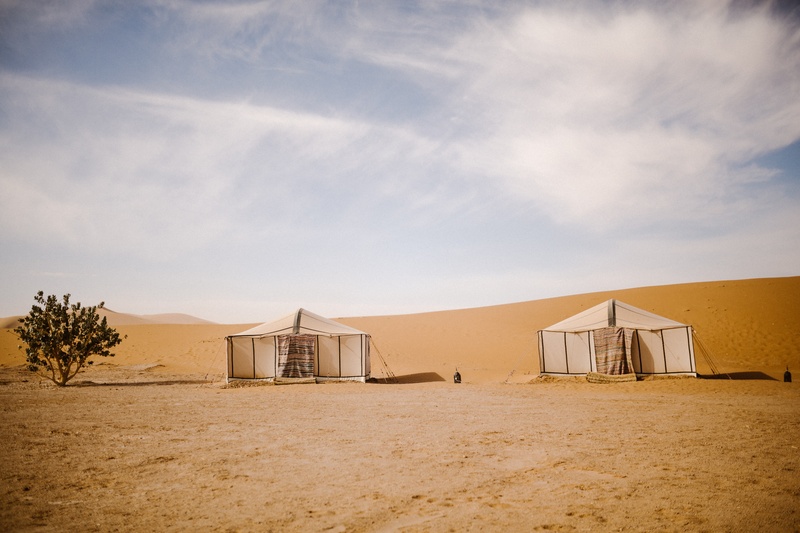 The camp is encircled by smaller, rolling dunes for privacy and shelter, which offer a great vantage point. 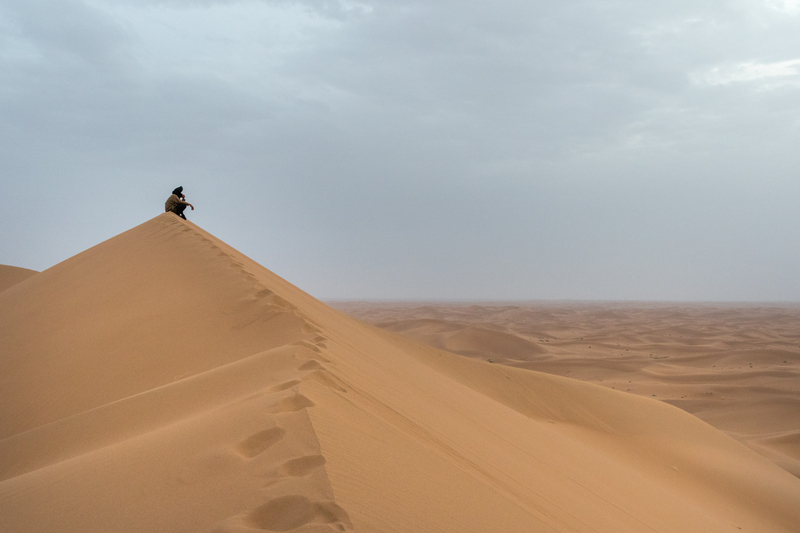 The tallest dune in the Erg Chigaga is a round-hike of 90 minutes from the desert camp and is a wonderful place to watch sunset. The off-road journey by 4×4 to reach the great dunes of Erg Chigaga is wonderful and you will enter and exit the desert via two different ways (total distance on desert terrain is 150km), to allow you to experience as much of this remote region of the Moroccan Sahara Desert as possible – desert scrub, the Anti-Atlas mountains, the vast dry salt flats of Lake Iriqui, (once on the Paris/Dakar route), dried river beds, desert stone (hamada), and, of course, the great dunes. 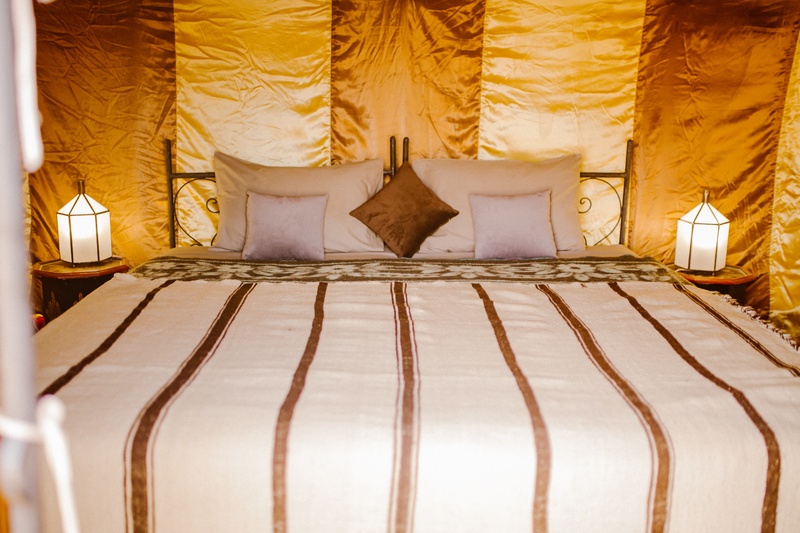 The sleeping tents at Camp Al Koutban are carpeted and lined. You will sleep in comfort on a real bed, king-size with mattress and linens. There is a separate shower and toilet facility on-site, with hot water. There is also a separate dining-salon tent and outdoor space for relaxation and enjoyment of the campfire. 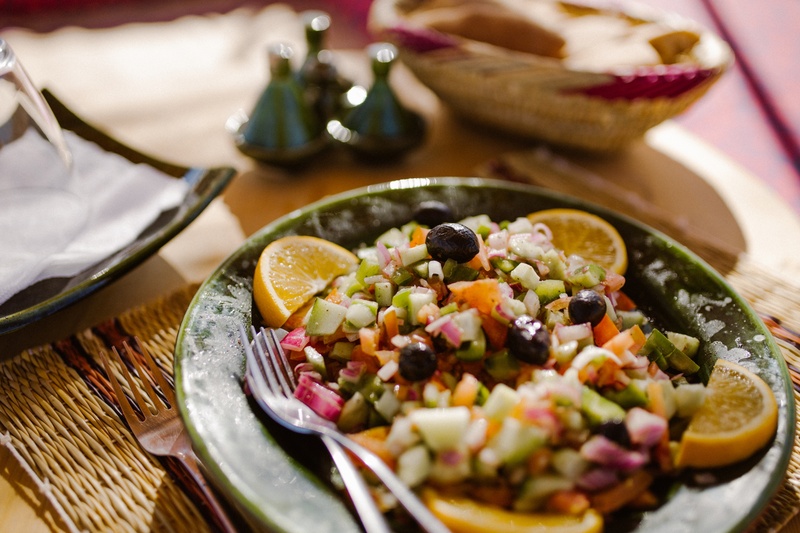 In warm conditions, it is possible to dine outside. Evening entertainment is around the campfire / after dinner (singing and playing of drums). 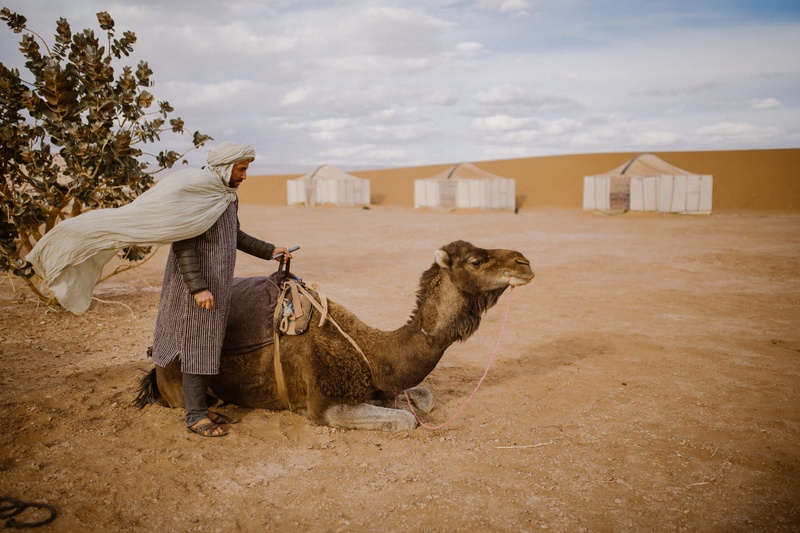 All meals, drinking water, hot drinks, and guided camel-trekking are included with our Berber desert camping at Al Koutban. If you plan to camp for 2 nights or more, please enquire with us about day hikes with a guide. Please let us know if you’ll be celebrating a special occasion in the desert and we’ll make suitable arrangements. Why not read some of the comments in our Guest Book to see what others have thought of their camping trip in Morocco. Please refer to our optional itineraries for further details of a 4×4 Morocco three day tour or if you want to explore a little bit more of Morocco’s stunning landscapes why not try our 4×4 Morocco four day tour.